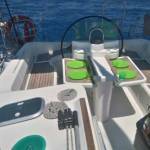 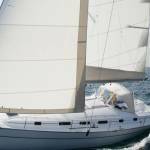 Beneteau Oceanis 383 – Boat and CO. 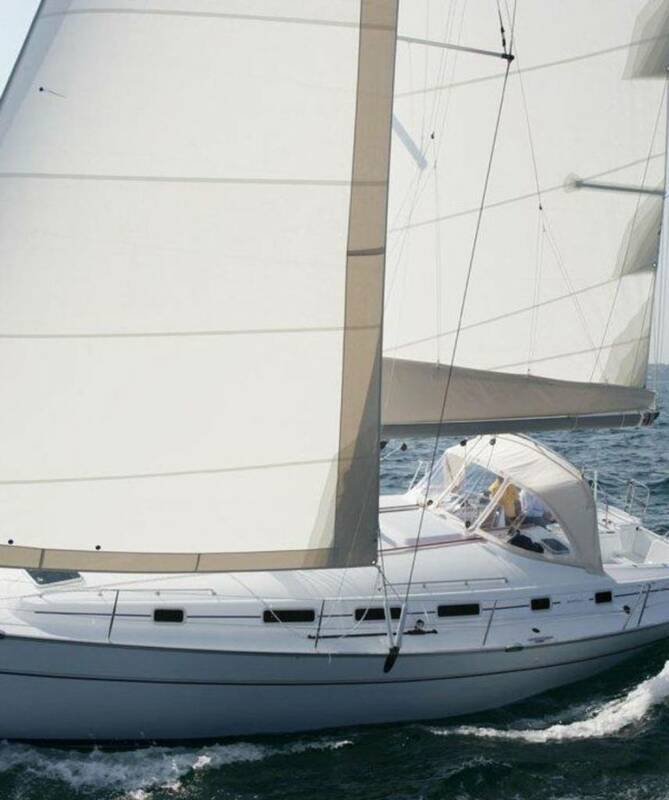 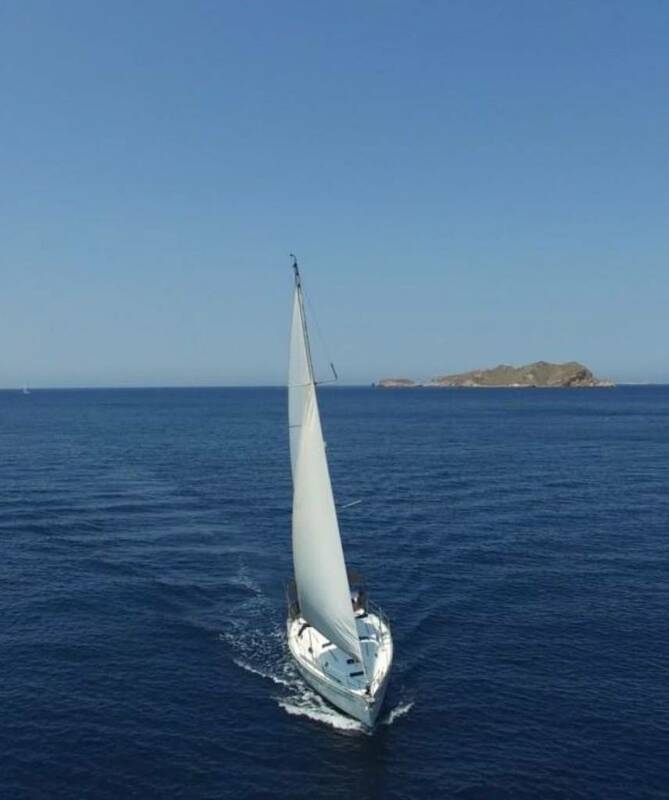 In this page we present all the photos, characteristics and rates of our magnificent sailboat Beneteau Oceanis 383 to rent boats Ibiza with patron for weekly periods or with pattern for day trips. 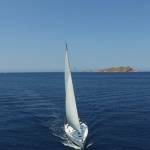 As a novelty this season we include table of Stand Up paddle Board and free snorkelling equipment! 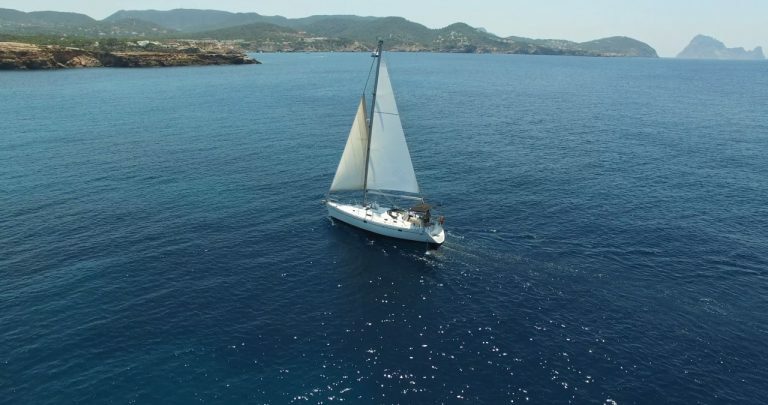 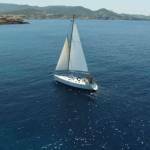 This beautiful sailboat for rent in Ibiza has 3 double cabins, two aft and one bow, a complete bathroom with access from the lounge. 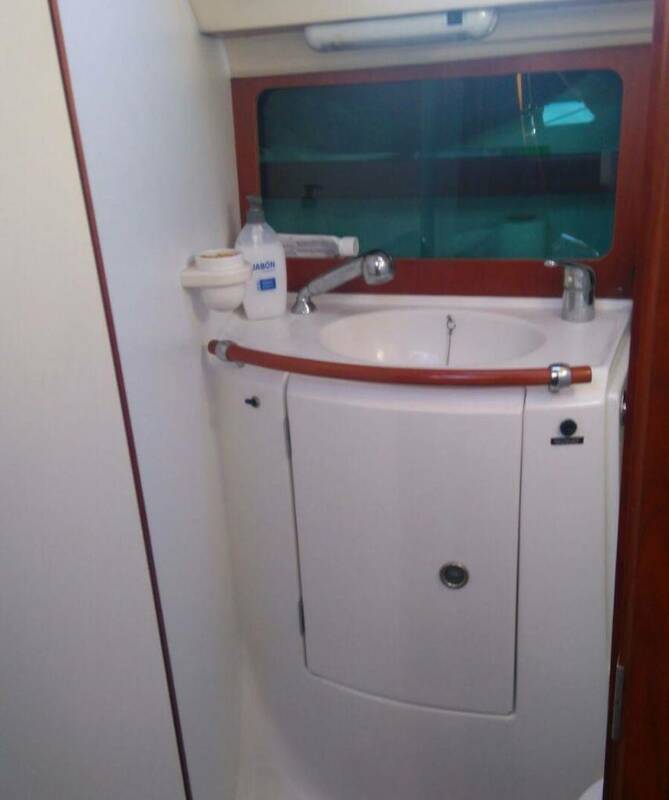 The Bow cabin has a private sink inside the cabin itself. 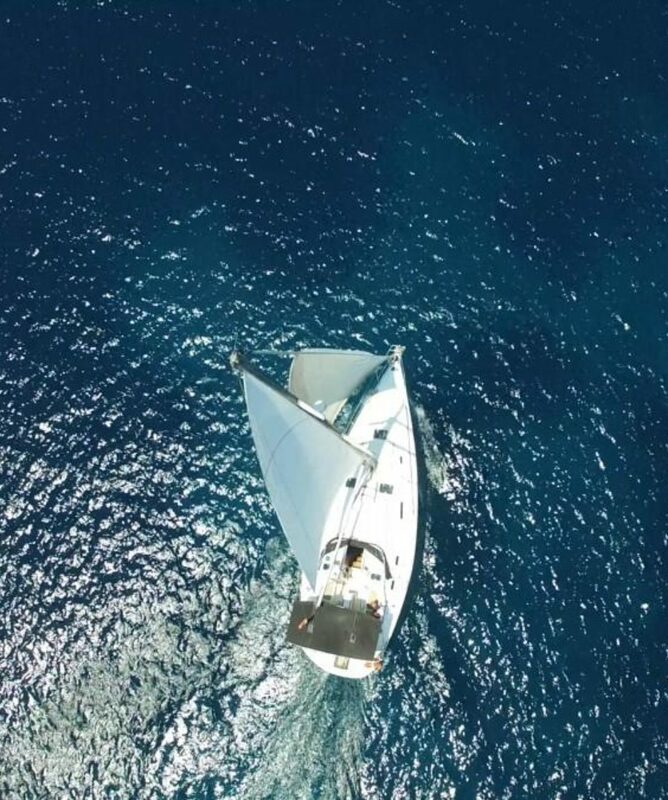 For day trips The sailboat has a maximum legal capacity of 12 people, counting on our professional standard, ie we can carry 11 passengers. 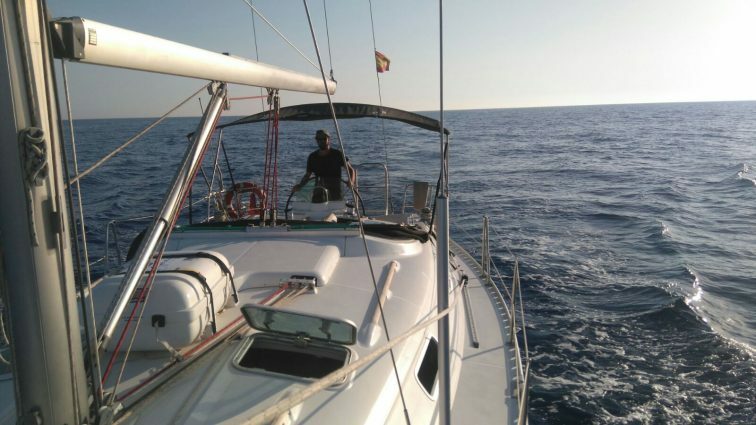 Although to be really comfortable we do not recommend more than 8 or 9 adults on board. 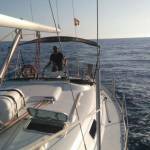 For rentals with overnight stay on board, the maximum recommended capacity is 6 people plus our skipper, as the boat has 3 double cabins. 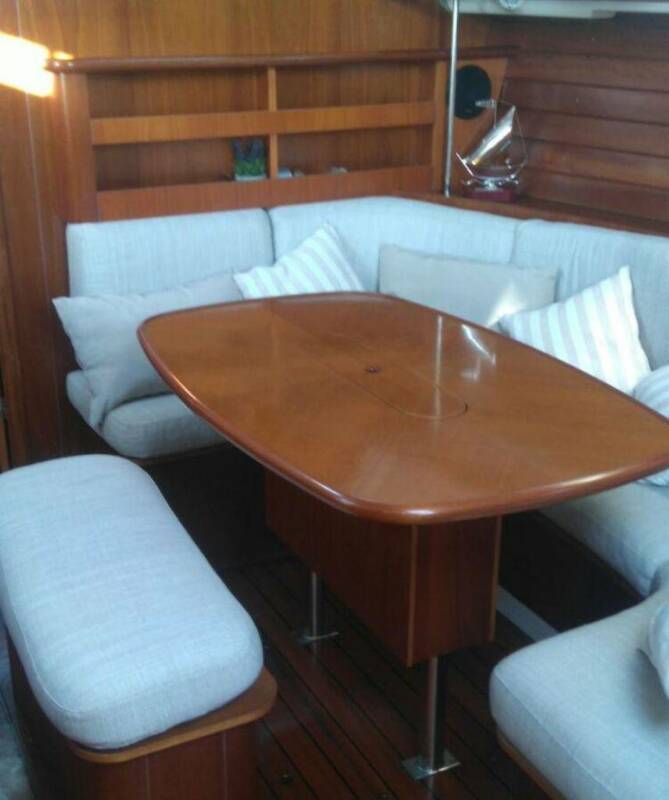 In the case of groups of 6 people who occupy the three double cabins, the pattern will sleep on the sofa in the living room. 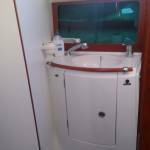 The stern has two comfortable spacious cabins. 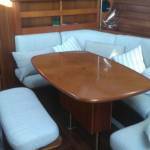 In the central part of the boat is the living room and the kitchen and a bathroom. 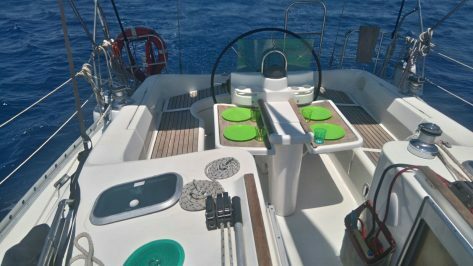 In the area of the bow is accessed to the third double cabin that also has a private bathroom with access from the interior of the cabin. 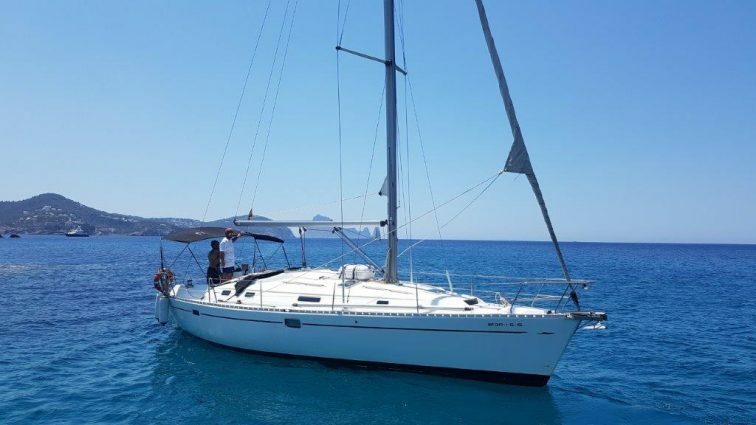 This boat that we offer for yacht charter Ibiza with skipper is very equipped, with the latest technology that will allow smooth sailing and increase the comfort of the crew. 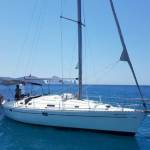 ***Posibility to rent half a Day.